No warning has been more marginalized or flat out ignored by the professing, visible church than this one from our Lord’s great servant and apostle. There are many dangerous voices of error invading the church to condemn God’s Word on the clear, biblical truth regarding the sin of homosexuality. This blog post will focus on just one movement afoot that in its cleverness and subtlty has and will continue a full, frontal assault on God’s truth. Sam Allberry has established a ministry website that is solely devoted to the false teaching of “gay” Christianity; www.livingout.com. 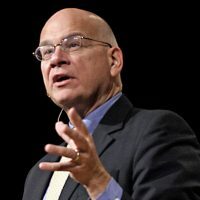 While there are many prominent, professing evangelicals supporting Allberry and his ministry, none are as devoted to Allberry’s philosophy as the ever-popular Dr. Tim Keller, who has been behind the scenes quietly and cleverly pushing the same ideas for years promoting his powerless, non-transforming and false gospel. In June 2018 Allberry hosted a conference through his Living Out ministry with Keller as keynote speaker. The conference was promoted with an Identity in Christ theme, but it was quite clear from the beginning that they have a far different agenda, as they promote the idea of ignoring the homosexual’s sexual preference (or “identity”) and focus instead on their“identity in Christ”. The glaring problem is that there is no such thing as a Christian homosexual, therefore they have no identity in Christ.